I usually like to wait until a high quality leak comes out, but there’s so much anticipation behind this that I gotta let it go. Here is the premiere of Jay-Z’s “DOA” (Death Of Autotune), the lead single off The Blueprint 3, courtesy of Hot 97, who just played it minutes ago. Production by Kanye and No ID. Of course, tagged up, low quality, but come on, it’s The Blueprint 3. Sounds sick. Big thanks to Fuze. BP3 out September 11th. So what’s the word? 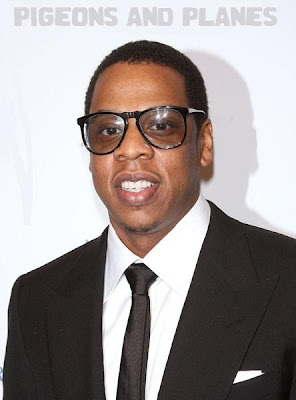 Is autotune dead because Jay-Z said so? Remember when he tried to kill the skinny jeans fad? Two kids in the suburbs started wearing JNCOs again. Not that I think autotune is here to stay, or that it is in any way an essential part of hip-hop, but do we really want a 40 39 year old deciding the direction that this genre takes in the future? Then again, it is Jay-Z. So maybe we do. Just in case Hov is right, Lil Wayne better release Rebirth with the quickness.